Some of you may have been aware of the ride improvement project SWOG members in the south east have benefitted from over the last 18 months or so. (See articles in last year’s March and June newsletters, and occasional updates here). We have had a lot of feedback from the owners over the subsequent months, most people have been amazed at the amount of light which has reached the ground, warming it and helping to germinate long since dormant seeds. 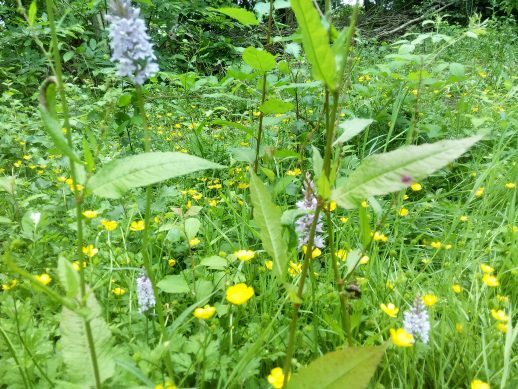 This ground flora is a magnet for insects, butterflies and birds and in many cases can help transform a sterile dark over stood woodland into a vibrant biodiverse habitat for wildlife. 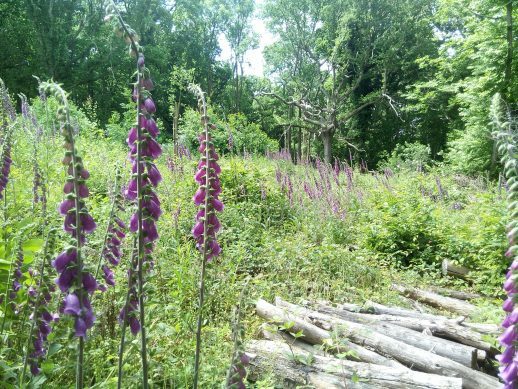 Foxgloves, Celendine and Orchids, just a few of the many welcome wildflowers which have been given a new lease of life from the increased light levels in the ride. The other reason to run the project was to try and demonstrate that well maintained open rides can really help to keep the tracks from disintegrating into a sticky slurry. 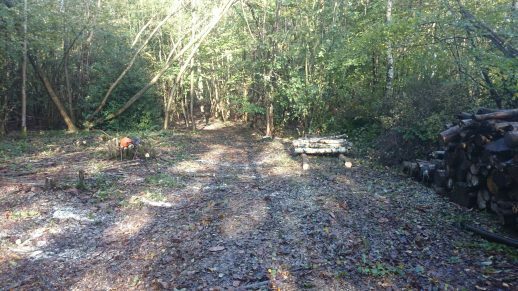 It’s actually quite difficult to prove it this year, as we have had such little rain, but in normal years, more light and air to the rides would mean they dry out earlier in the year and really can make a huge difference to the utility value of a wood. Finally the project has injected a huge dose of community spirit into many of the woodlands. Owners have come together to liaise with each other and contractors. Where appropriate they have formed work parties to help clear the ride sides. The important thing about this is that cutting and restoring the rides doesn’t end now, it is ongoing. The increased light will mean increased new growth, but as with most things, they are easier if they are done little and often. An annual or biannual cut in the autumn when the seeds have been spread is the best plan. The centre two or three metres can be mowed or ‘scalloped’ with a heavy duty strimmer, brush cutter or even scythe. 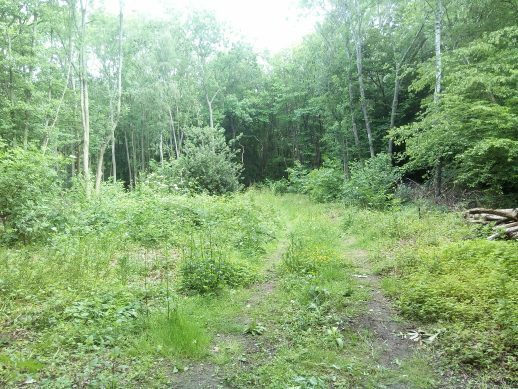 Further back into the canopy, coppice regimes can be planned on a 3 or 4 year rotation which, at this age, can be done with a bill hook or pruning saw. It’s fun, it will keep you fit, and it will keep your woodland fit!